Well I am definitely back in the baking saddle this week, I was raring to go this morning and delved eagerly into Mary Berry’s Baking Bible to find 2 bakes that I could fit in today. I do like the tray bake section- have I mentioned that I am still recycling my Lakeland foil tray bake tins?! 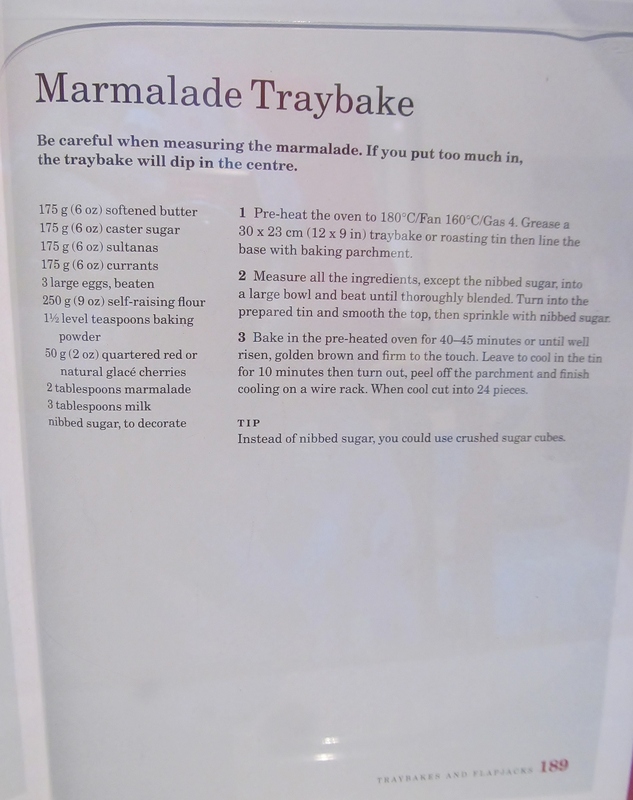 Well Mary’s recipe for the marmalade tray bake is a “no brainer”- throw all the ingredients into the bowl and mix. The only thing she warns you about is measuring the marmalade carefully as too much will make the tray bake sink in the middle. 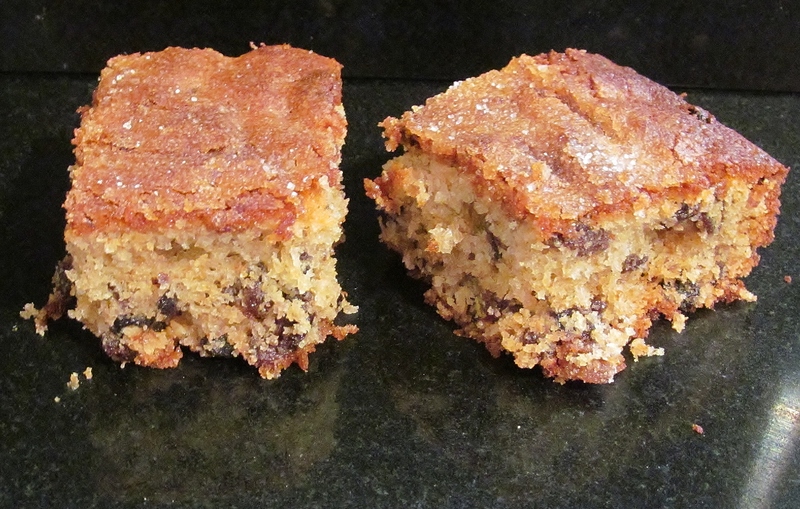 The finished tray bake looks like a mix between a fruit cake and a bread pudding but with a tangy orangy smell. Mary’s next recipe should have been just as easy but either I was tired or not reading the recipe as carefully as I should have- and I wasn’t wearing my glasses. Mary tells you to add the butter, sugar, egg yolks, vanilla extract and flour into a bowl and mix into a dough- my HUGE mistake was at a quick glance I “misread” the golden (sugar) for golden syrup- and yes, that’s what I added instead of the sugar….. when I realised what I had done, I had 2 choices, continue and see how they turned out or throw the mix away and only have 1 bake this week…… so I continued…. and added the porridge oats to the dough and mixed them in when Mary clearly says ( on closer and second time of reading!! 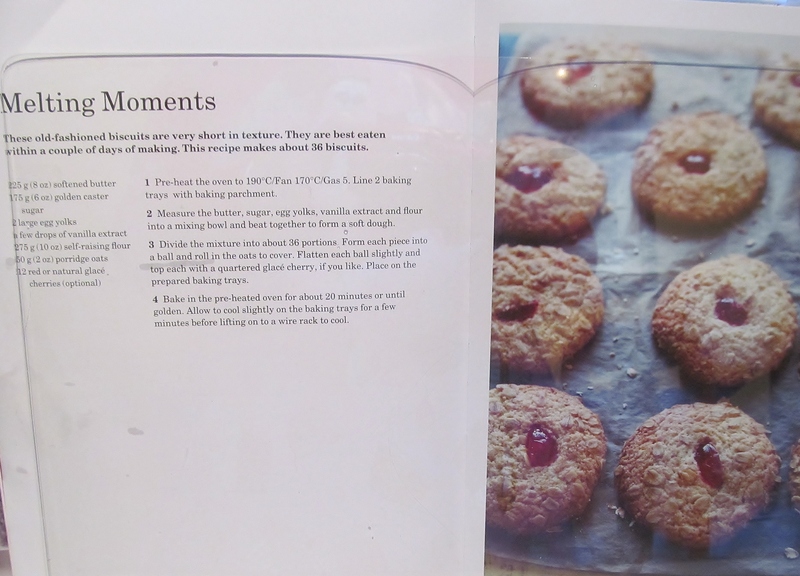 !…..Sigh…) make the biscuit dough, roll into small bowls and roll the balls in the porridge oats…. well at this point I was really kicking myself and decided to bake a batch to see how they turned out anyway- waste not , want not as my Nan would have said. Well, given that I added golden syrup instead of golden caster sugar and mixed the oats into the mix rather than rolling the small dough balls in it, I didn’t think they turned out badly at all so I baked the rest of the batch and was rather pleased that my complete hash turned out okay after all. Note to self, ” read all recipes at least once and with glasses on before attempting next bake.” !!!!! 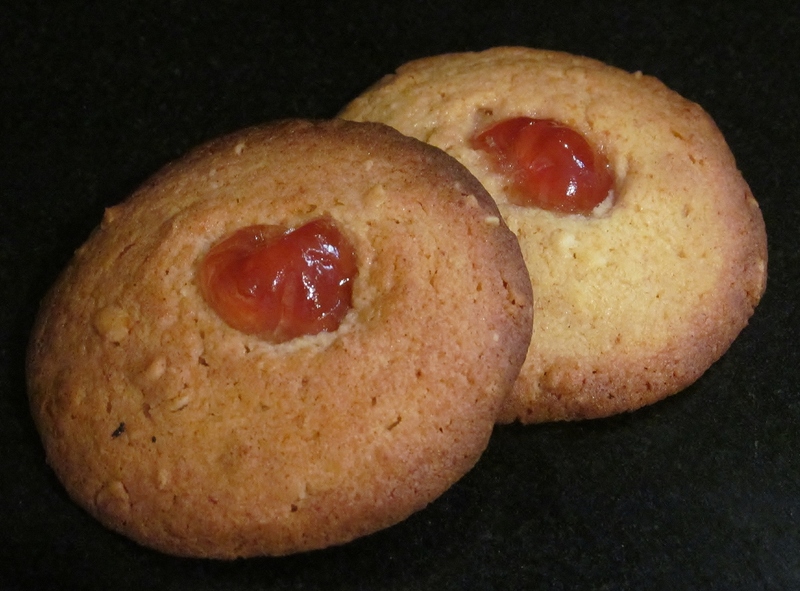 This entry was posted in Kim's cake challenge and tagged Golden syrup, Kim's Cake Challenge, Kim's Marmalade Tray Bake, Kim's Melting Moments, marmalade, Mary Berry, Mary Berry's Baking Bible, Mary Berry's Marmalade Tray Bake, Mary Berry's Melting Moments by kimsideas. Bookmark the permalink.